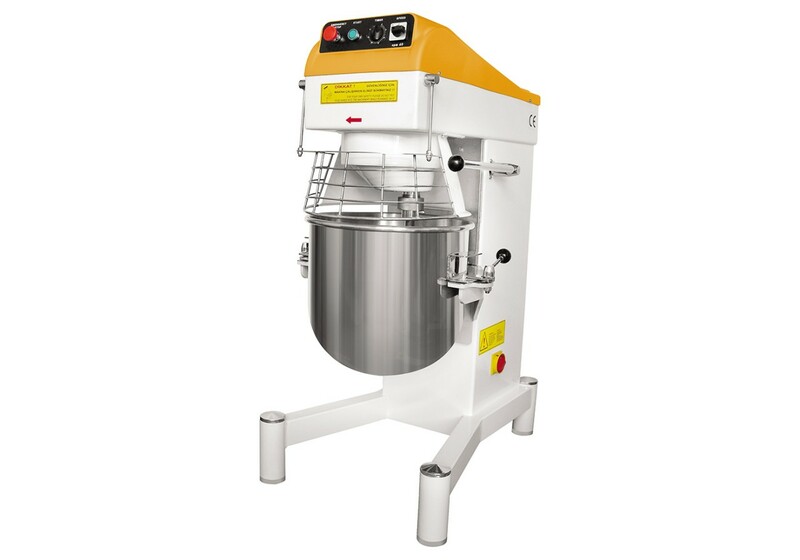 Planetary mixers are developed for a batch of the liquid test, beating of confectionery creams, a souffle and mousse, also with their help it is possible to make mayonnaise or to process puree. The excellent result is achieved thanks to a special path of movement of a shaker. He turns around round its pivot-center and at the same time moves on bowl perimeter, imitating movement of planets. The mixer is completed with three types of nozzles: hook, nimbus and blade. The equipment works in three high-speed modes. The timer allows to control batch time. Existence of castors facilitates relocation of the machine to other place.